Our team finds inspiration EVERYWHERE! 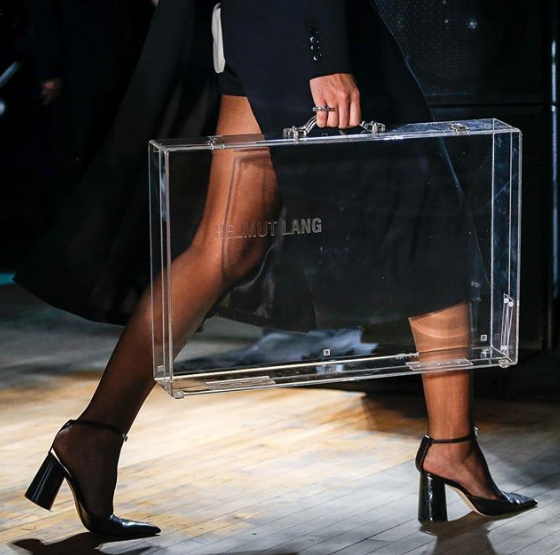 The runway is a mecca for outside of the box ideas. We saw lots of sheer and clear textiles showcased on Spring 2018 runways, and we predict this transparent theme to be big in wedding design this year too! If you enjoy a minimalist approach, transparent and translucent design features can offer that clean and modern touch you’re looking for. When deciding how to incorporate transparent design features into your special day, think details! Semi-transparent place cards or engraved glass place cards as a takeaway are awesome embellishments. 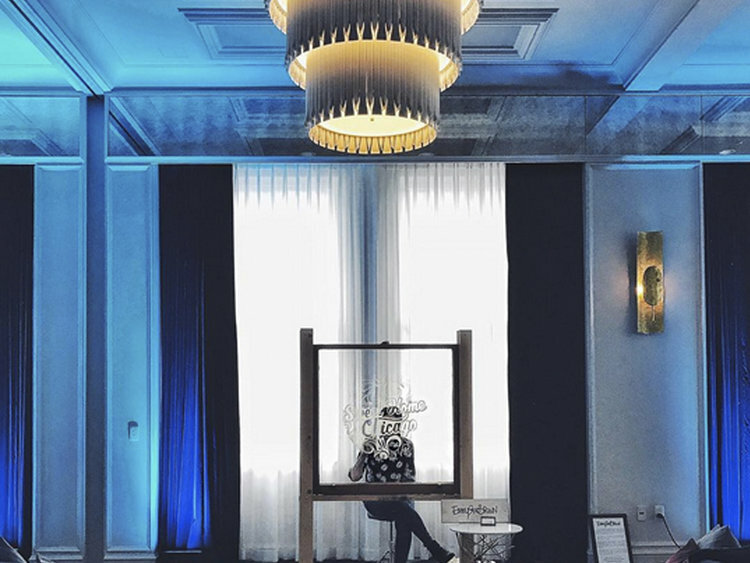 Consider adding some transparent art pieces to your wedding’s design features. We love local artist Emmy Star Brown’s glass paintings! Planning an outdoor wedding? Why not rent a clear wedding tent to stand out along with incorporating this transparent design feature into you wedding day. Or maybe your vision is a ballroom? Not a problem! The transparent trend can also be incorporated by choosing a venue that has floor to ceiling windows like The Peninsula Chicago or by making the decision to use glass tables and/or transparent ghost chairs. The options are vast! According to our sources, marble is IN this year! If your ideal wedding destination is Chicago, then we suggest considering The Kimpton Gray Hotel in The Loop, which features their iconic marble staircase and intimate marble corridors. Always be on the lookout for historical and landmark buildings, which tend to have preserved interior designs that may feature these marble elements. As with the transparent design features, the marble design features can also be used for place cards. Consider printing your reception menu on marbled cardstock for that extra touch. If you decide to have a ceremony program for your guests, these can printed on marbled cardstock as well! For an unexpected splash of marble, you can incorporate marbled table numbers, candles or even printed table runners, which can add a very chic detail to your wedding day. The saying, “Don’t mix your metals”, is a phrase of the past. In 2018, mixing your metallic accents is all the rage for interior design and we expect to see this trend in weddings this year as well! Aren’t sure how to mix metallics? For a subtle addition of depth to your wedding design features, mix different colors of the same metal. If you’re going with gold as a design feature for your wedding, then try mixing white gold with rose gold or yellow gold with white gold, or if you are bold you can mix them all! But of course, we always recommend seeking the advice of your wedding planner and design team! Regardless, don’t be afraid to mix silver and gold. The idea is to have fun breaking the “no mixing metals” rule, creating a look that brings the right amount of flair to your special day. For a luxe antique look, try mixing bronze and silver. Mixing metals is a great way to add a mature pop of shimmer to your events and there are many ways to incorporate this design feature into your special day. Consider having copper chairs with bronze lanterns and silver candle holders, silver utensils and gold plates, or an array of mixed metal candle holders. 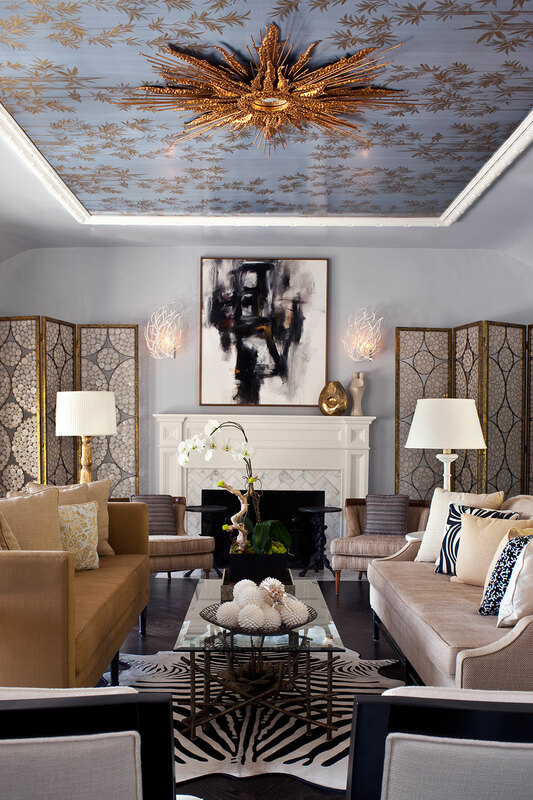 Statement ceilings and ceiling accents are a big prediction in interior design for 2018. So be prepared to gaze onward and upward! A fun way to incorporate this trend into your wedding is to incorporate floral chandeliers and/or unique lighting installations, which can be used in indoor as well as outdoor weddings. Event designers predict that flower chandeliers are will be big on their client's wish lists for 2018, and the more extravagant the chandelier, the better! If you would rather find a venue that already has more to the eye, look for buildings with Baroque ceilings. We especially love the Biltmore Ballroom in Atlanta and the Cosmos Club in D.C. very reminiscent of the Schonbrunn Palace in Vienna! They truly transport us in time for a very memorable occasion. Keep in mind that statement ceilings can be both fun and classic, modern and timeless, so choose what best suits you and your partner for your special day! From transparent objects to Ultra Violet, 2018 design is shaping up to be truly memorable. We hope you found a bit of inspiration with MAE's take on these trends! To see how Marquette Avenue Events can help you incorporate design into wedding day or special event, and most importantly, assist in bringing your entire vision to life, please visit us at www.marquetteavenueevents.com or call us at 312-585-7265.